While internal combustion may be the main motive power here at the Scarf & Goggles it is worthwhile looking in other directions on occasion. 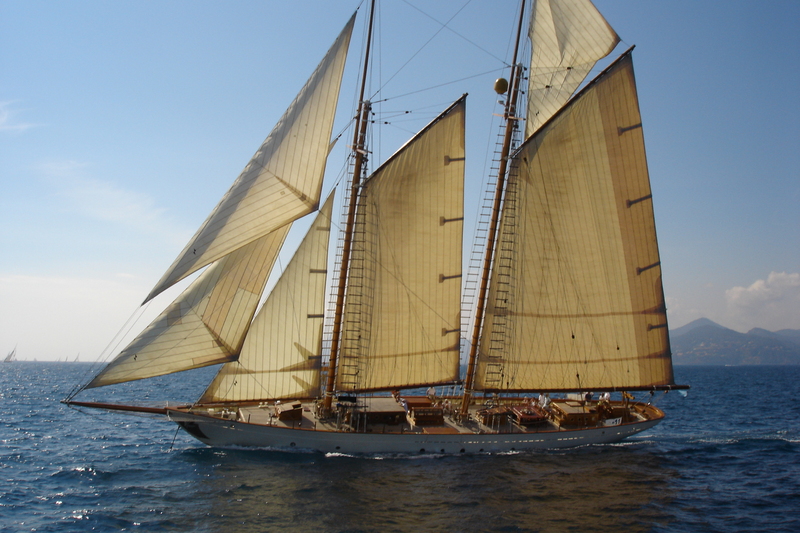 Steam, yes, but also an even more traditional power – sail. It was with the news that Kevin Kline is starring in an Errol Flynn biopic that I recalled visiting the Black Pearl in Malta. This Swedish-built schooner is reputed to have belonged to the swashbuckling Hollywood swordsman – although that assertion is somewhat harder to confirm than one might think. So, then, welcome aboard Flynn’s greatest passion, the Zaca – laid down in 1929 by the Nunes Brothers of Sausalito, California for the San Francisco socialite and railroad heir Templeton Crocker. At 118 feet she was in fact too large for the small but expert yard and so began life out on the street – an incongruous birth for what was intended to be the fastest and most opulent ocean yacht in the world. 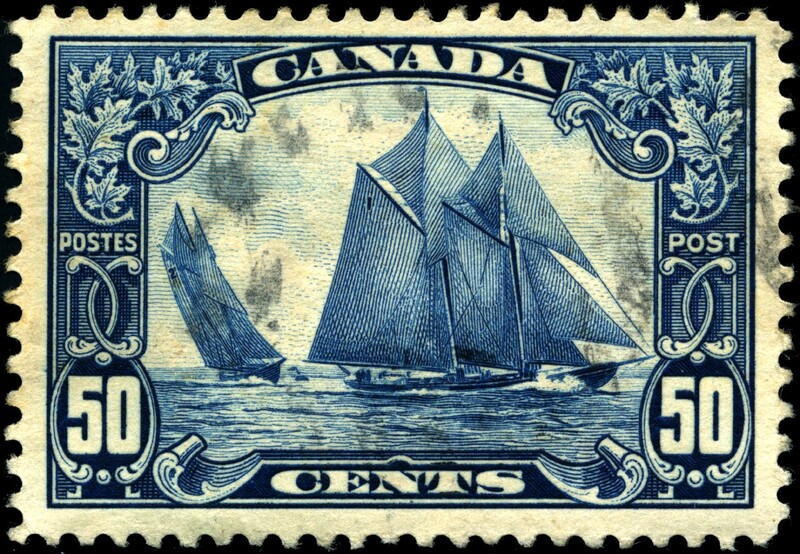 In fact she was a scaled-down replica of a more famous vessel – the Nova Scotian racing ship Bluenose, which won the International Fisherman’s Trophy at every time of asking from 1921 until 1938. Designed for speed and endurance against the Atlantic, the template for Zaca was one of the fastest and most handsome vessels ever seen. Fortunately for the boatyard, Templeton Crocker’s fortune survived the onset of the Great Depression and the Zaca was completed in 1930 at an eye-watering cost of $350,000 (around $14 million today). Her maiden voyage was to Polynesia, carrying the magnate and his associates in search of a ‘prehistoric’ tribe who had never yet encountered the white man or the benefits of the free market economy. Zaca’s adventures in the Pacific were many and she circumnavigated the globe twice over, being credited with the discovery of 2,000 species. Then her varied, philanthropic existence came to an abrupt end with the bombing of Pearl Harbor. 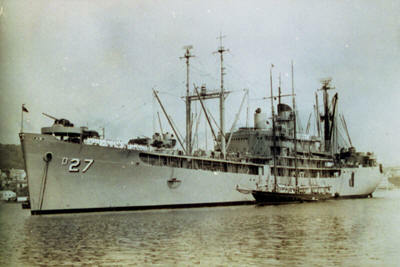 The US Government requisitioned all seaworthy vessels, and this princess of the sea was given a coat of grey paint and set to work as a reconnaissance and supply vessel throughout the years of conflict. When the war ended, the US Navy vessel IX-73 was sold off by her government – with speculator and dealer, Joe Rosenberg, taking the somewhat dilapidated Zaca onto his books. 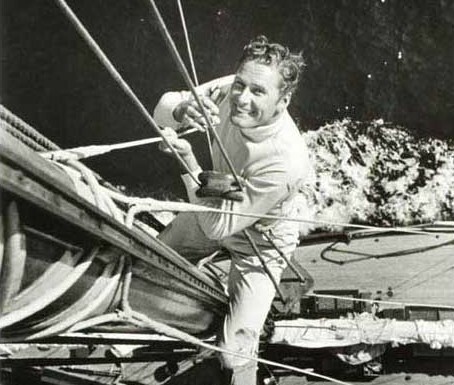 Rosenberg found an eager buyer in the form of Errol Flynn, who had sufficient funds to restore and refit her to something like her former glory and intended to enjoy her to the fullest. 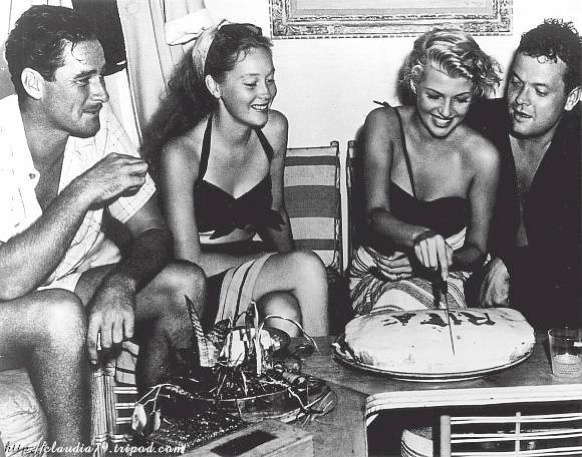 Flynn’s star was already on the wane, however, and the Zaca endured some torrid days under his alcohol-soaked stewardship – not least when her entire company abandoned ship in Acapulco and Flynn was forced to rent her out as a prop in the Orson Welles movie, The Lady from Shanghai. Hollywood finally severed ties with Flynn in 1950. He lost his celebrated home Mulholland House soon afterwards and set sail for a new life in Jamaica. Among the many guests he entertained on board Zaca were Noel Coward, Ian Fleming and Truman Capote. For Zaca this was the beginning of a long and sorry tale. She remained in Mallorca until British entrepreneur Freddie Tinsley promised the Flynn estate that he would sell her for a good price, took her to France – and proceeded to strip anything of value from her before leaving the remains in situ. 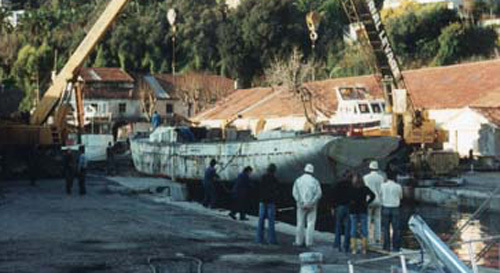 Zaca lay remained at Bernard Voisin’s boatyard in Villefranche for 20 years in lieu of mooring fees. In 1979 she made headlines when the by-now derelict hulk was given an exorcism by both catholic and Anglican ministers after repeated claims that music, women’s laughter, lights and even Flynn himself had been clearly seen and heard aboard. Although now free of spectral shenanigans, Zaca remained a forlorn sight until the late 1980s. It was then that, in his eagerness to get his hands on such a storied vessel, a British electronics magnate bought the Voisin boatyard lock, stock – but not, according to Voisin’s lawyers, the Zaca. A lengthy legal dispute rolled on during which Zaca managed to sink in her berth. Then in 1990 the by-now forlorn hulk was purchased by Italian entrepreneur and renowned furniture restorer Roberto Memmo. In his care the Zaca was at long last restored to the sot of specification that Flynn would have been happy with, and made her return to public life at Monaco’s classic Regatta in 1993. Since then the Zaca has become one of the best-loved vintage ships in the Mediterranean, scything through the playground of southern Europe with all the speed and style that she was intended. I think we can rest assured that both Errol Flynn and Templeton Crocker would approve. 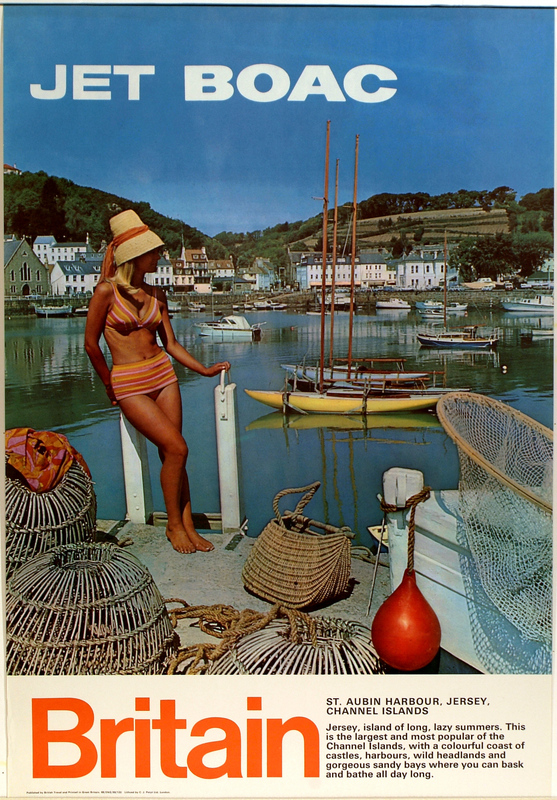 As the long, hot summer of 2013 continues to see the British Isles basking in almost unbroken warmth, this lovely old advert for BOAC’s new jet services to the Channel Islands leapt to my attention. We have been blessed, of course, with the birth of a future monarch, victories for British athletes at Wimbledon and in the Tour de France, the British and Irish Lions delivered in rugby and the Ashes look set to be saved. Adrian Newey’s British-built Red Bull RB9 seems set to continue the team’s dominance in Formula One – and we can enjoy all this while breaking out the buckets and spades and heading for the coast this summer. 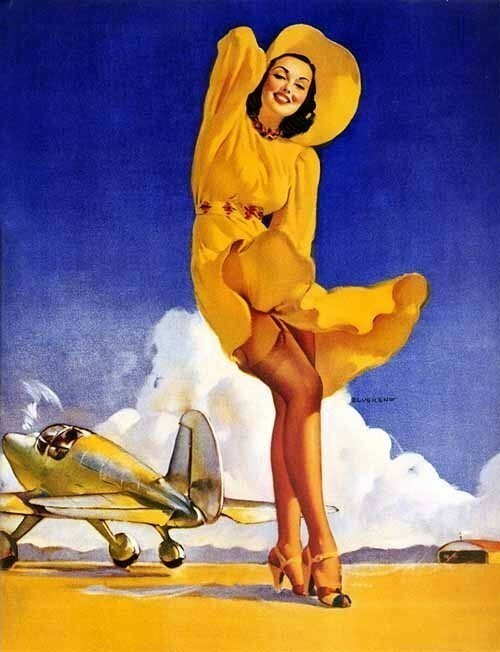 Truly it’s a vintage year… so here’s some vintage sunshine to celebrate. The third and final example of Gil Elvgren’s timeless pin-ups shows the enduring appeal of Jaguar’s XK series to a treat, don’t you agree? 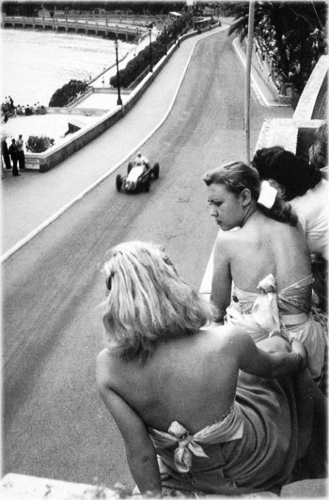 A lot of people like to go karting at the weekend, so here’s Gil Elvgren’s take on this innocent pastime. One to hang on the wall on The Scarf & Goggles with pride… ‘Tailwind’ is one of those all-American masterpieces by the late, great Gillette A. Elvgren. In the 1950s, the wooden speedboats built by Riva became the ultimate fashion accessory for movie stars and royalty from around the world. Founded on the shores of Lago d’Iseo in the mid-1840s by Pietro Riva, this family-owned boatyard really took off after World War 1, when Pietro’s grandson Serafino Riva moved production away from humble, hard-working transportation towards the new luxury sport of powerboating. Throughout the 1920s and 1930s, the Riva family broke a number of records and won races on the Italian lakes with its bespoke wooden boats. After World War 2 the next generation, led by Carlo Riva, gave the brand a new level of elegance, status and material perfection to create objects of desire for la Dolce Vita. Among the beautiful people queuing up to buy Riva’s beautiful boats was Brigitte Bardot: the object of much European desire herself. BB opted for Riva’s signature offering, the Florida, which became the defining classic in the Riva range when it was launched in 1952 – in total 1,137 boats were built, comprising over 420 ‘normal’ Floridas and 711 slightly larger and more powerful ‘super’ models. As its name suggested, the Florida was associated with water-skiing, and featured a large sun-bed astern, divided by a bridge of mahogany deck, filleted with maple. Early models were fitted with Chris Craft engines, followed by Chrysler and latterly Riva’s own 220 hp unit, built around a Crusader V8. 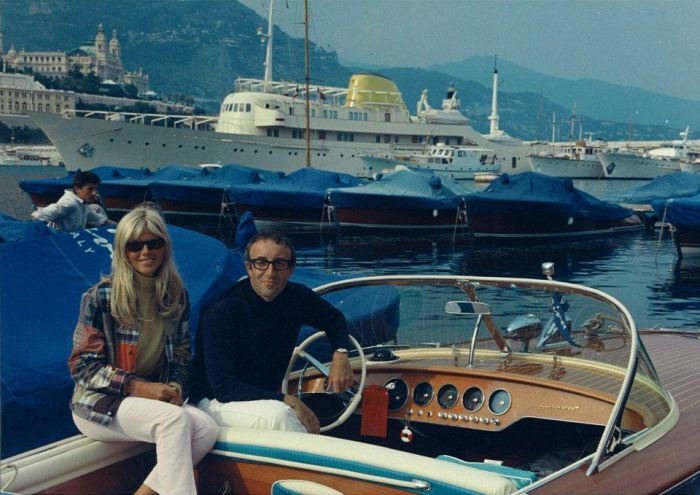 Other customers who made their way to the Riva yard included Prince Rainier and Princess Grace of Monaco, the King of Jordan, Liz Taylor, Sean Connery Richard Burton, Jackie Stewart and Peter Sellers. If anyone was going to eclipse BB in the Riva ownership stakes, however, it could only be that other great siren of European cinema: Sofia Loren. As a proud Italian woman, she was never going to let the blonde French ingénue free rein over the Med – and so invested in the flagship of the Riva range: the Aquarama. The Aquarama’s hull was based on the earlier Tritone and was the most powerful boat of its kind at the time. It was styled in homage to the widescreen Cinerama movie format, which inspired the boat’s wide windshield. First built in 1962, it incorporated the open sunbathing area of the Tritone with new features, including separate front seats and a central non-slip gangway which allowed easier access to the water at the stern. 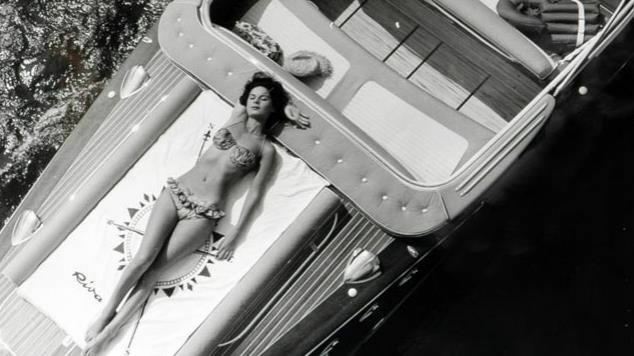 Because of the boat’s awesome performance, beauty and the craftsmanship behind it, the Aquarama was the model in Riva’s mouth-watering range that was known as the ‘Ferrari of the boat world’. The style and elegance that Riva embodied in its heyday remains one of the most enduring icons of 20th Century luxury. Bardot still has her Florida tucked away in a corner of Saint Tropez, and when Robbie Williams wanted to evoke that golden age of luxury in his pop videos there was only one prop that would cut the mustard: the glorious, hand-made Riva.